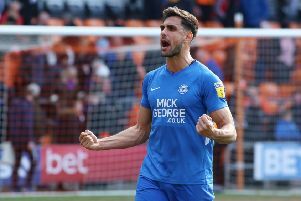 Peterborough United have introduced a ‘kids for a quid’ offer for the re-arranged League One fixture with Southend at the ABAX Stadium (February 21). The match now falls during the school half-term holidays. The offer is in place for all areas of the ground excluding hospitality areas. Children must be accompanied by a paying adult (season ticket holders are included). Group bookings are also available through the ticket office on 01733 865674 (option 2). Tickets are on sale now at www.theposhtickets.com, via the Ticketmaster hotline 0844 847 1934 and in person at the ABAX Stadium Box Office.